The Japanese word boro literally means rags – at one time in Japan when fabric was precious and never discarded, old cloth was repaired & stitched together to make new items for every-day use. 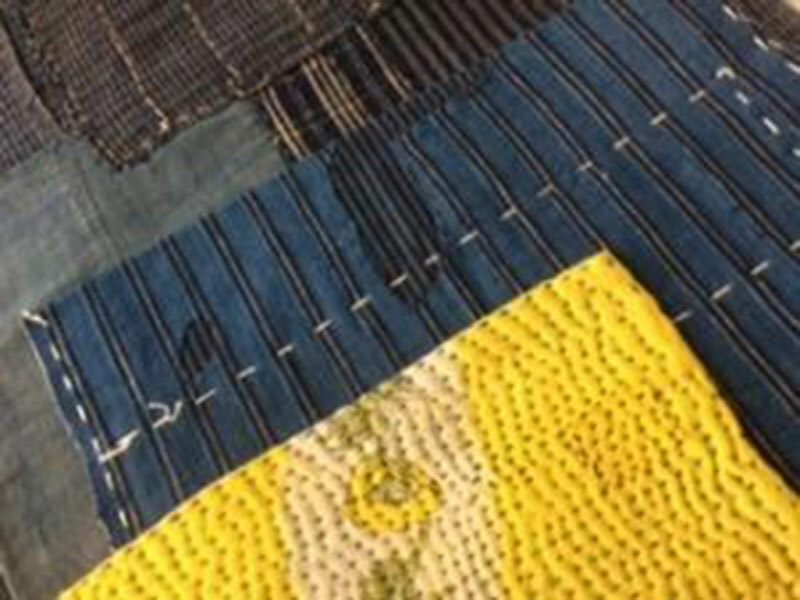 In this class we will learn how to stitch, mend & quilt layers of recycled cloth to give them new life in this traditional Japanese way. Students are asked to bring an old tea-towel and handkerchief to this one-day class – all other materials will be provided.